The Stroke Cart allows suspected stroke patients to be remotely assessed by specialists resulting in quicker diagnosis and treatment. 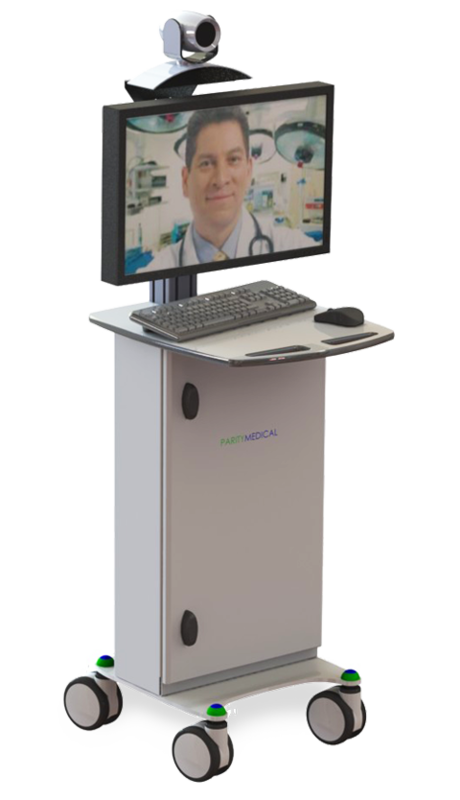 With a range of bespoke mounts, this Mobile Cart can be equipped with cameras, codec & other VC hardware. Excellent for infection control & security as the cables are concealed. The display can tilt, swivel & rotate and the Mobile Cart is easy manoeuvre in tight spaces.